KTI KGC-311-LX Industrial Multimode to Single Mode Optical Fiber Media Converters. SFP LC Multimode. This item is shipped from our affiliate facility. The stock level is not under our control and is subject to change. We will contact those that order this item in the event of a problem. If this item is ordered together with other products, this item may be shipped separately and may arrive separately. Primus Cable's CAT6 Slim In-Line Coupler Extension are engineered with PCB technology, phosphor bronze IDC contacts, gold plated prongs, and a fire-retardant plastic housing. The CAT6 Slim Coupler line is engineered to simplify the connection helping you save time and money. Simply snap the coupler into the wall plate or patch panel and plug in your patch cables and/or RJ45 terminated CAT6 cables and your done. Because we take great pride in our quality control procedures and our commitment to quality our CAT6 Slim In-Line Coupler Extension is subject to UL standards and is UL Listed. 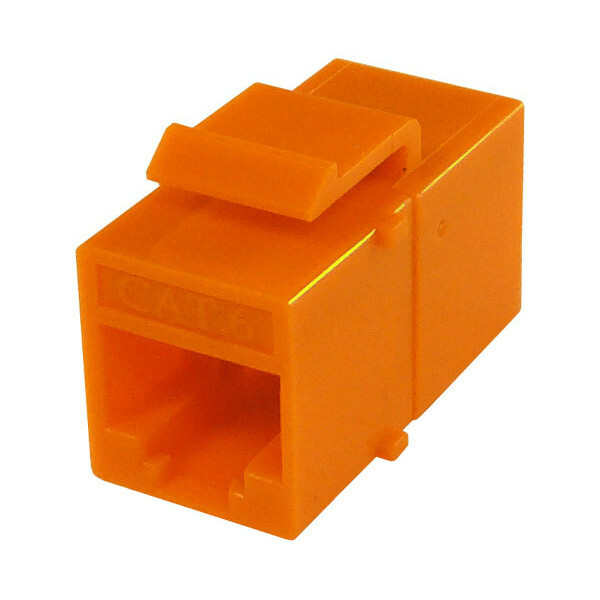 Primus Cable's CAT6 Slim Coupler also meet all requirements for EIA/TIA and also inspected and tested to comply with stringent transmissions and safety standards. To complete your CAT6 network we carry a full end to end solution including CAT6 bulk Ethernet cables, CAT6 patch cables, CAT6 RJ45 modular plugs, CAT6 keystone jacks, network racks and enclosures, Ethernet switches and wall plates. We also have a large assortment of tools, testers and cable management accessories that will help make your installation fast, smooth and organized. If you have any questions, feel free to give us a call. Free shipping on select products. Call or email our service team.